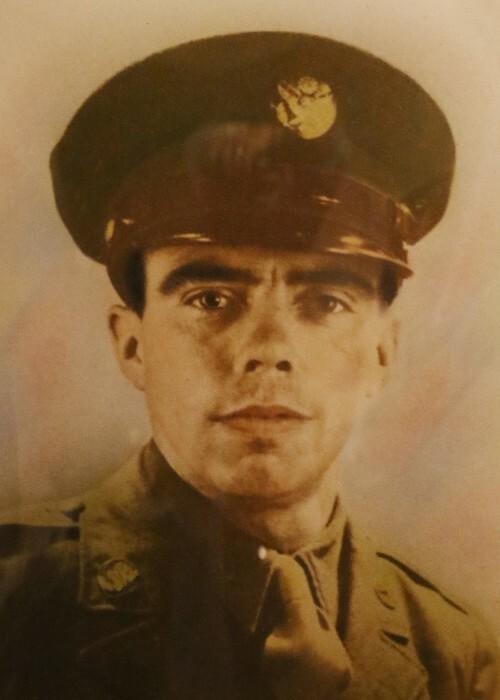 Clifford M. Mills, 29, of Troy, Indiana, was killed during World War II in Zyfflich, Germany on September 18, 1944 and was accounted for on January 29, 2019. He was born on October 24, 1914, in Perry County, Indiana, to Robert and Myrtle (VanWinkle) Mills and was married to Ethel (Siscel) Mills. Surviving is his brother, Robert Lee Mills of Santa Claus and several nieces and nephews. He was followed in death by his parents; his wife; brothers, Chester, Curtiss, and Allen Mills; and sisters, Edna Mills and Leola Roberts. Funeral services will be held at 11 am, Saturday, March 30, 2019 at the Schergens Center with burial in Troy City Cemetery. Robert Duley will officiate. Visitation will be from 9 – 11 am Saturday at the center. Memorial contributions may be made to the Tell City VFW.